Running has its place. it’s a fine sport, but the gym’s a better option for training. Here we bring you the 25 reasons the gym is way better than running. But, we’re not being contradictory. Hear us out. The truth is, both going to the gym and running are great ways to get in awesome shape, lose weight, build muscle…you get it. However, there are certain things that just make the gym better than pounding the pavement. So, don’t quit running, but consider joining a gym as well. Hey, you can run there too, and the gym can actually make you a better runner (really—just check out #7). Working out with a personal trainer is a great way to make sure that you’re performing exercises with proper form, not only so you get the most out of them, but so that you prevent potentially sidelining injuries, says trainer Allyson Signaigo. “Most gyms offer an orientation of some sort to get you started with a beginner’s program.” Plus, even if you don’t generally work with a trainer, there are always some floating around the gym who would be happy to answer any “Am I doing this right?” questions. Sure, you can run in the rain, but most guys don’t. “With the gym, you can’t use bad weather as an excuse to skip your workout,” Signaigo says. 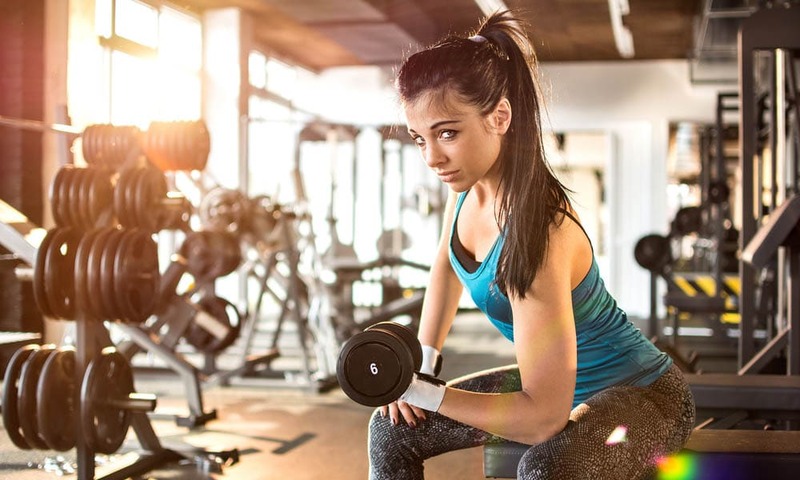 Minute per minute, weight training wards off abdominal fat better than cardio does, according to research from the Harvard School of Public Health. That’s because, while cardio burns both fat and muscle, strength training burns calories from fat almost exclusively, while at the same time building metabolism-boosting muscle that helps you burn calories long after your workout. Sure, when it’s below freezing or above 100°, working out indoors feels great. But sticking to indoor air temps can also prevent frostbite and tight muscles that lead to injury (when it’s cold out), and heat stroke and workout-wrecking electrolyte imbalances (when it’s hot out). Plus, gym air is also filtered to keep car fumes and other pollutants from clogging your windpipes, says Erik Moen, P.T., founder of Corpore Sano Physical Therapy in Washington. Better air means better workouts. After your workout, it pays to hit up the gym’s spa. Massage promotes muscle recovery after tough workouts, while preventing scar tissue and injury, according to a 2015 study presented at the American College of Sports Medicine annual meeting. Kettlebells, yoga, powerlifting, rowing, spinning, and, yes, even running: The gym lets you perform them all in one place. Without the gym—including strength training, yoga, cross training, and hip and core work—you wouldn’t be able to run for very long. The gym gives you the chance to give your body the strong base it needs to run long-term,” says Sarah Evans, a personal trainer. While any running newbie will feel some burn in his back, core, and arms after his first few runs, running does work your legs more than anything else. In the gym, though, you have access to the tools you need to hit every muscle, Signaigo says. Sure, that probably sounds like a con, but your membership fees might just be the investment you need to actually hit your workouts, says Signaigo. You don’t want that money going to waste, do you? When researchers at the University of Maryland School of Nursing reviewed 81 studies on yoga and aerobic exercise, they found that yoga is better at improving balance, flexibility, strength, and energy levels compared to aerobic exercise (like running). There are lots of benefits to working out in a building filled with other sweaty people: They can help motivate you, spot you, and the more experienced ones may even be up to showing you a thing or two, Signaigo says. “It’s not always safe to run late at night or super-early in the morning, when it’s dark. The gym eliminates that. Most facilities are open before dawn and also accommodate night owls,” Signaigo says. Plus, you won’t have to worry about any stray animals chasing you during your workout. The gym is filled with eligible singles, and, according to one Canoodle.com survey, three-fourths of people would rather meet someone at the gym than at the bar. Whether you hit up a boxing class or just ask a trainer, “What the hell is that contraption?”, the gym is a great place to try out new workouts and see what you really enjoy and want to stick with. A 2011 University of Iowa review of more than 100 studies found that performing regular strength workouts helps keep you focused outside of the gym. That might be because maintaining proper form (think: keep your elbows tucked, shoulders back, yadda yadda) trains your brain to zero in on the task at hand, according to researchers. No matter how social running groups can be, it’s always hard to find someone who wants to run at the exact same pace of you. On the gym’s treadmill, though, you can stick with any running buddy—whatever your preferred paces. 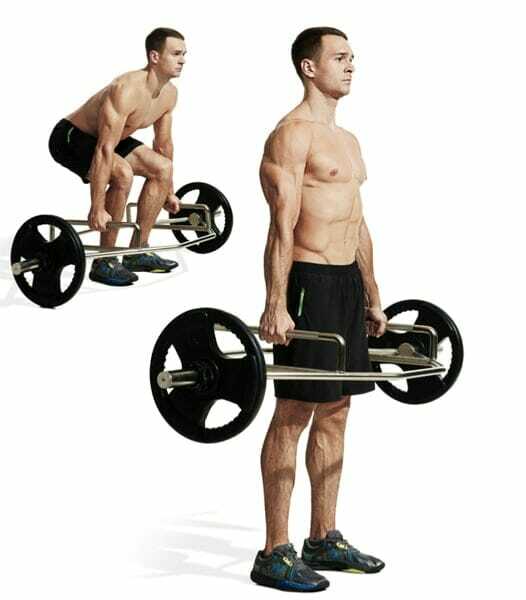 Plus, if you prefer kettlebells, dumbbells, or barbells, it doesn’t matter if you’re at different levels. You can still work out together. You don’t have to get with cardio to boost your heart’s health. Completing just 45 minutes of moderate intensity resistance exercise instantly lowered study subjects’ blood pressure by 20%, according to research published in The Journal of Strength and Conditioning Research. In one 2013 study from the University of Illinois, researchers found that a 20-minute yoga session improved subjects’ ability to quickly process information. What’s more, the brain-revving effects kicked in even faster than they did when the study participants went running. Increasingly more gyms come with smoothie bars and mini cafeterias, helping you get in the pre- and post-workout nutrition that’s vital to better performances and results. When guys perform dynamic, total-body kettlebell workouts, they burn about 20 calories a minute—on par with running a six-minute mile, according to researchers at the University of Wisconsin‚ La Crosse. FYI, most guys can’t run that fast—at least not for very long. “Most guys just work out harder in the gym atmosphere,” Signaigo says. One reason might be that they want to look fit in front of other gym-goers, especially those you find attractive. In one study published in the journal Perceptual and Motor Skills, men rated their workouts as feeling easier (meaning they could push themselves harder) when women were watching. The gym’s locker room makes working out so much easier. It makes it way more doable to work out immediately after work, eliminating the need to go home to change first; it has showers so you can follow your workout with a date; and it has towels so there’s one less thing you need to pack in your gym bag. Regular swimmers are biologically 20 years younger than how old their birthday cakes say they are, per research from Indiana University. Researchers say that swimming can knock years off not just your cognitive functioning and muscle mass, but also your blood pressure, cholesterol levels, and blood chemistry. “You can be more controlled with your exercise ‘dose,’ when you’re at the gym,” Moen says. You decide how hard you want to hit it, and when your body cries “uncle” you can let off. When you’re out on a run, five miles from home, you don’t really have that option.